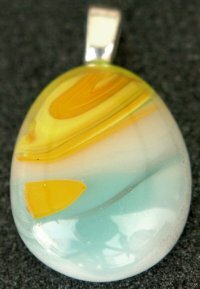 Description: This is an introductory class on making jewelry objects by fusing pieces of colored and dichroic glass in a kiln. Students will learn glass cutting, grinding, assembly, decoration, and fusing. Each student will complete a minimum of 8 projects. Materials: Materials may be purchased from the instructor.